At first, I was a bit hesitant when a friend told me to try a chiropractor for my shoulder trouble,” admits Dr. Nathan Berner. It was during high school athletics that Dr. Berner first discovered chiropractic. As an all district high school quarterback, he experienced pain in his throwing shoulder. I wanted to get back on the field as soon as possible so I decided to try a chiropractor and to my amazement I was back on the field the next week. Dr. Berner began his pre-chiropractor education at Miami (Ohio) University and graduated with a degree in Microbiology. 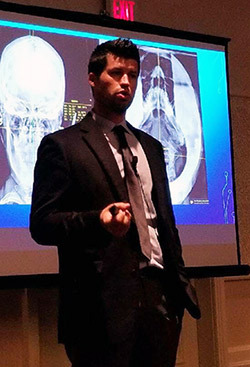 After completing his study there, he attended Life University in Marietta, where he he became the 1st student to ever achieve level 2 advanced certification relative to video adjusting and structural correction techniques of care. After meeting his wife, an East Cobb native, he decided to open his chiropractic office here. Dr. Berner actively teaches the Basic 1 and Basic 2 Orthospinology classes to doctors and students from around the country in addition to speaking at various conferences. Orthospinology is a sub-specialty of the chiropractic profession, focusing on aligning the upper cervical spine. This approach uses an extremely precise 3 dimensional x-ray analysis to correct small misalignments of the first cervical vertebra, also known as the atlas.These misalignments, also known as subluxations, can cause neurological interferences to the brainstem and spinal cord. Visit the Orthospinology directory. Dr. Berner is also involved in pioneering some new MRI research on the cervical cranial junction which could be beneficial in assisting with his upper cervical approach. 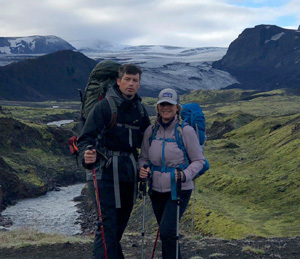 Dr. Berner met his wife Yelena while attending Life University. Together they have a 2 sons, Kayden & Austin, who have both been under chiropractic care since birth. Dr. Berner and his family currently live in East Cobb and are active in the community. Dr. Berner is a wellness expert and enjoys living an active, healthy, drug free lifestyle. 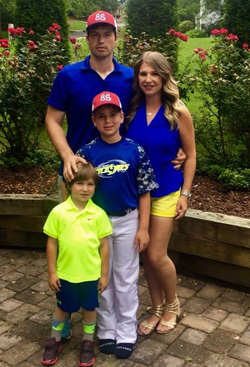 He also stays busy coaching baseball at East Side Baseball, flag football at Mt Bethel and St Ann’s and basketball at East Marietta Basketball. Dr. Berner is also an advocate of proper nutrition and a positive mental attitude in order to achieve optimal health. “I look forward to the opportunity to meet you in person and to discuss your specific health challenge. If you’re looking for a Chiropractor I think you’ll highly enjoy our process. We’ll simply sit down, get to know you, and give you all the details first. That way you can decide if we’re the right fit.”, says Dr. Nate Berner.